Glutamine, gets rid of muscle fatigue and helps recovery. Glutamine Powder of Optimum Nutrition is a dietary supplement based on Glutamine. Glutamine is an amino acid that prevents muscle strain caused by overtraining, and helps us regain and maintain muscle mass. 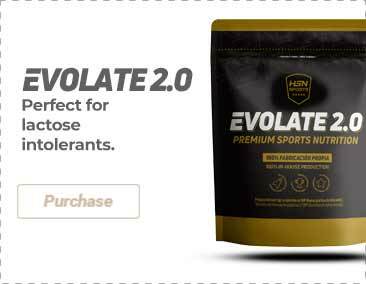 It is an irreplaceable supplement to fight night catabolism. It is the most important and present amino acid in the human body. In fact, it represents 60% of muscle amino acids. Hence, it is the largest transport agent of nitrogen into the muscle, representing 35% of all received nitrogen. Glutamine is the free amino acid with greater presence in the muscle tissues. L-Glutamine makes the muscle tissue not degrade easily thanks to nitrogen retention, and glycogen and protein synthesis. It also helps by providing energy and detoxifying the brain. For the latter reason in USA they call it 'The Thinker's Amino'. As a nutritional supplement, mix 1 scoop (5g) with 230ml of water or your favourite drink. You can mix it with a protein shake.